Deadline extended to October 31! Takin’ breast cancer awareness to the streets. 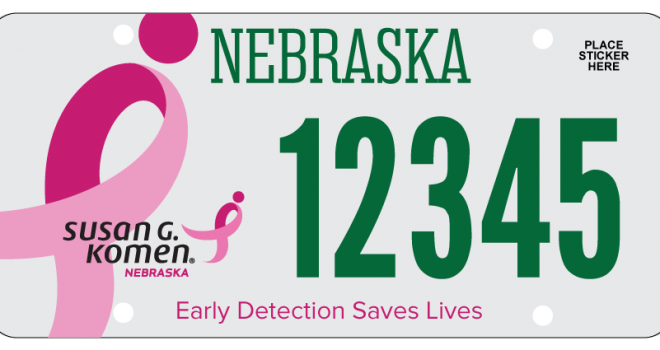 We are pleased to announce that we have extended the deadline to get your specialty license plate supporting breast cancer awareness. We are taking breast…. Susan G. Komen® Nebraska is pleased to announce ten nonprofit organizations in Nebraska that are the recipients of community-based health grants. Overall grant funds of….